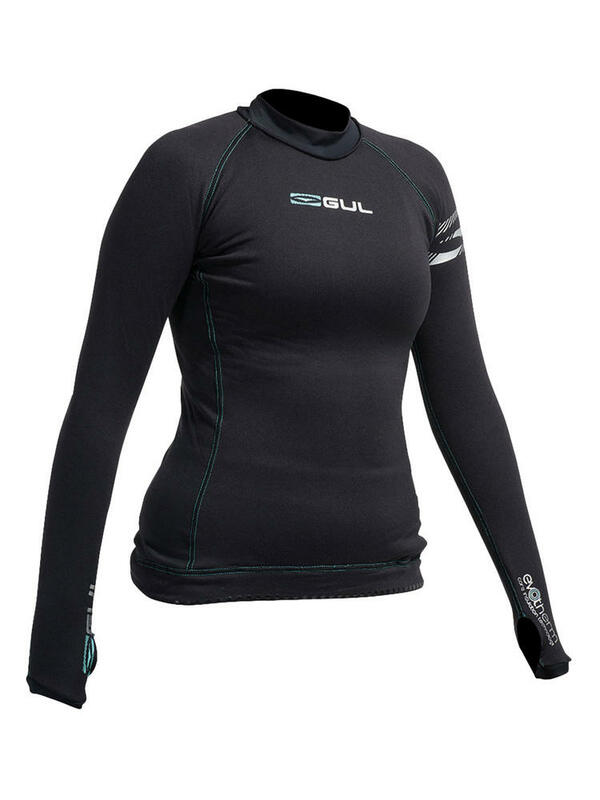 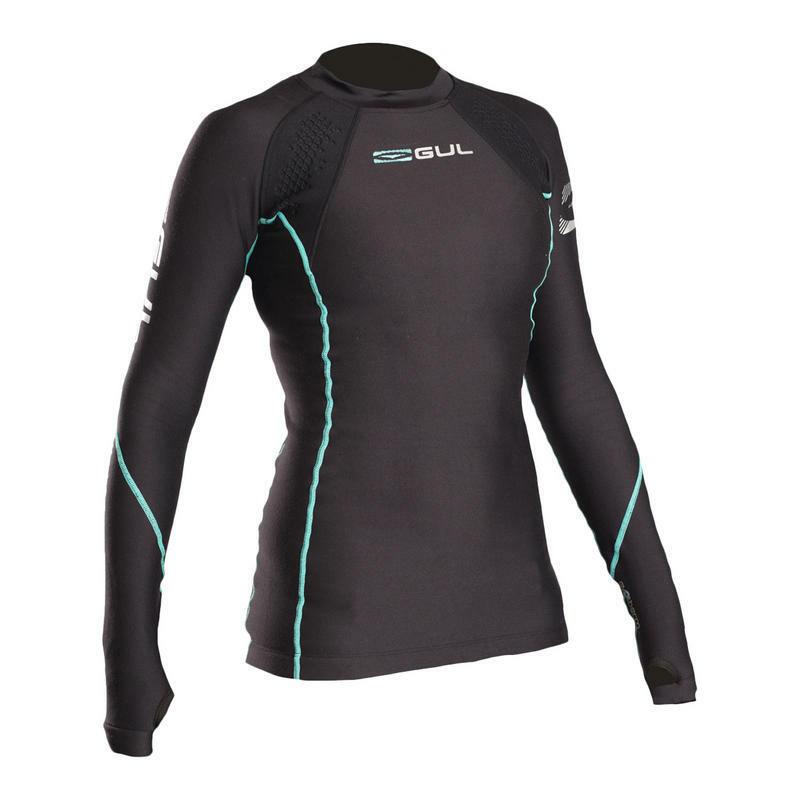 This thermal rash vest is constructed from 8oz Evotherm stretch fabric with UVF 50+ sun protection - providing maximum protection against the cold, wetsuit rash and the sun. 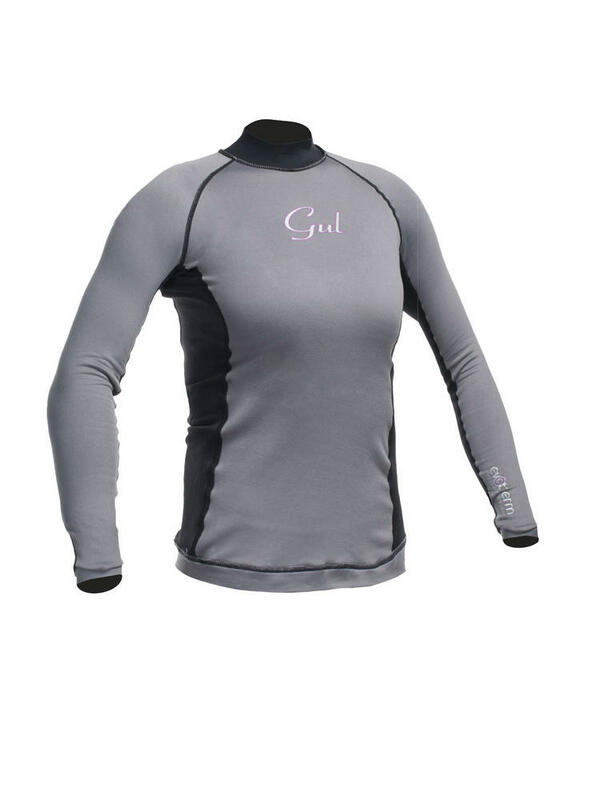 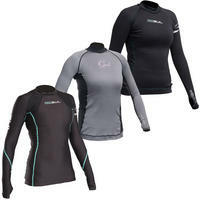 Equally suitable to be worn underneath a wetsuit or as a lightweight protective top layer when partaking in watersports. 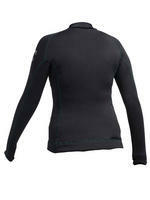 Specifically designed to fit ladies, with flatlock seam construction and a fine brushed, fleece feel. 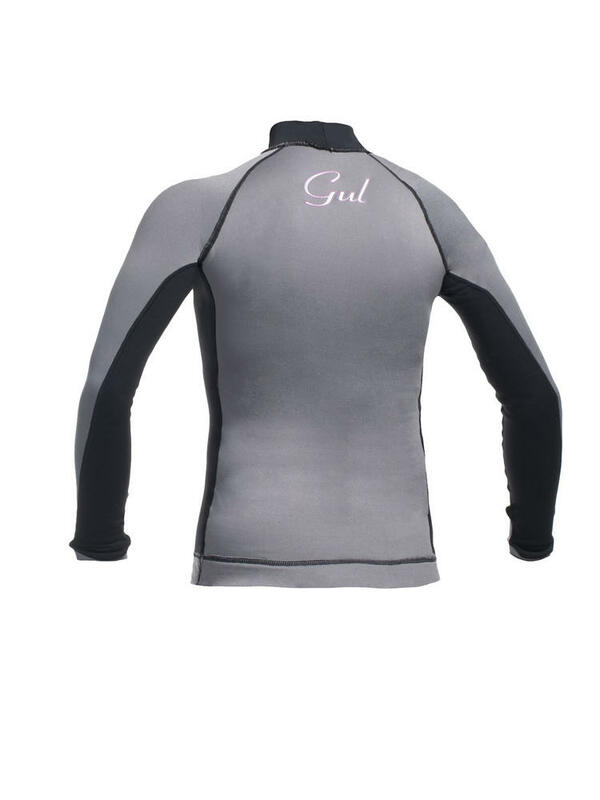 This Gul Evotherm acts as a fantastic UV shield giving you UPV 50+ sun protection. 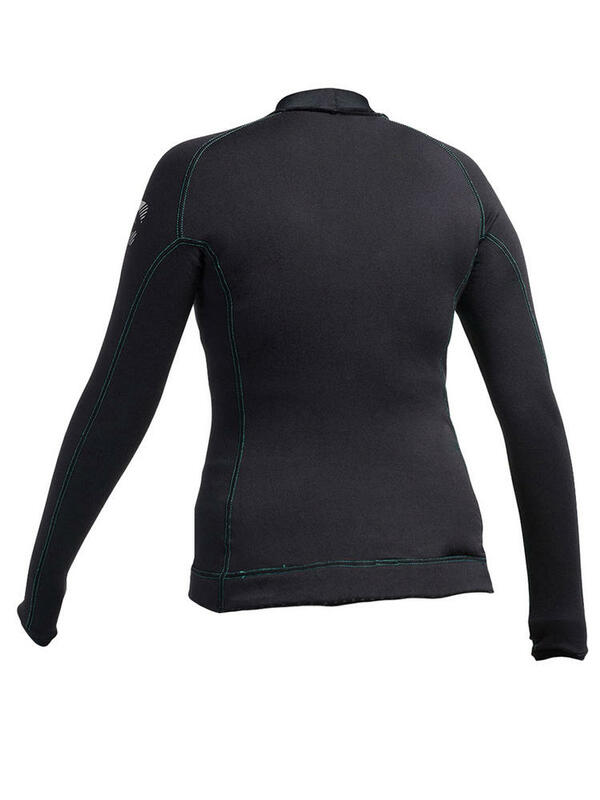 8oz Evotherm fabric with flatlock durable seam construction provides maximum protection against wetsuit rubs and rashes as well as sun. 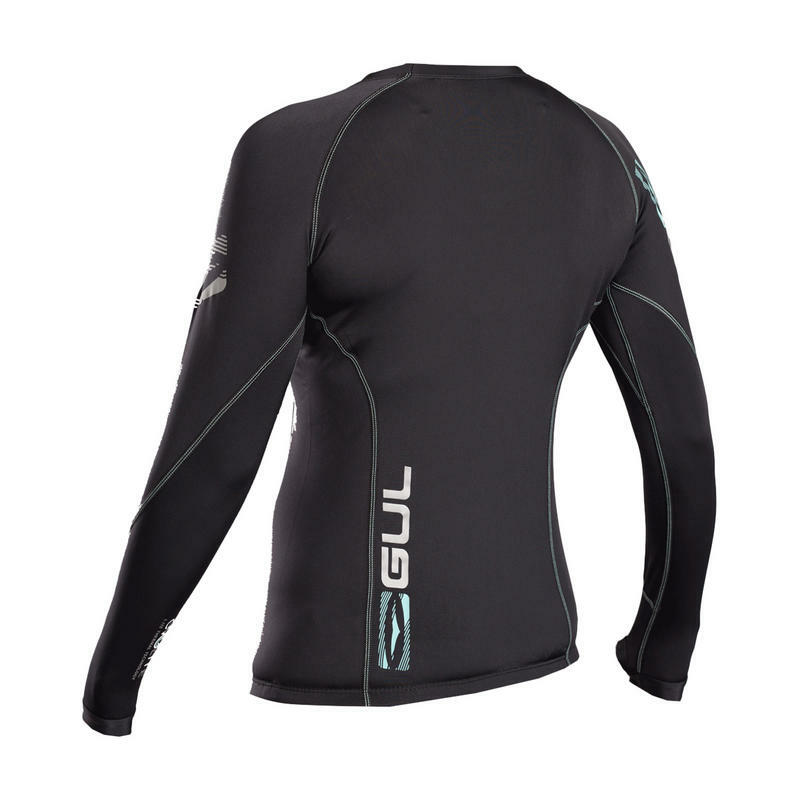 It also has thumb loops to keep it in place when worn under a wetsuit or during strenuous activities.